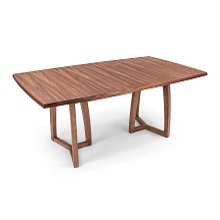 The Kristoff dining table, made and designed in Denmark, features rich walnut with a natural oil veneer. 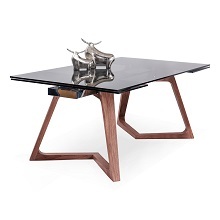 Kristoff - at once modern and rustic - is composed of two solid planks supported by rounded, triangular trapeze frames. 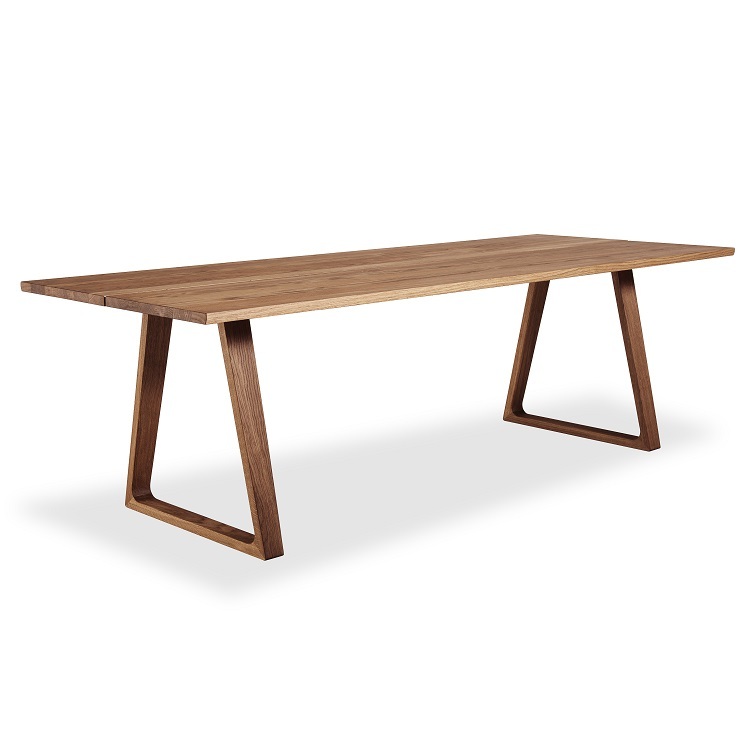 The positions of the legs can be adjusted to fit two or three dining chairs between the tablel legs.